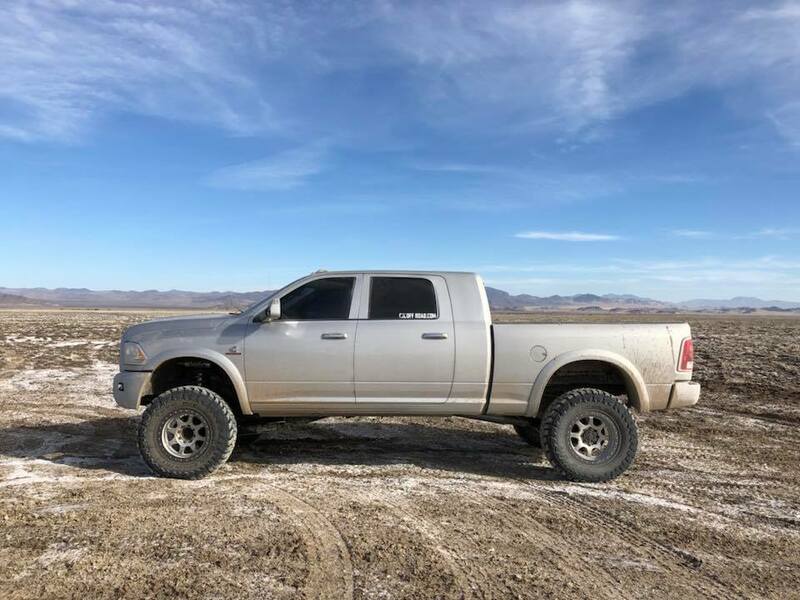 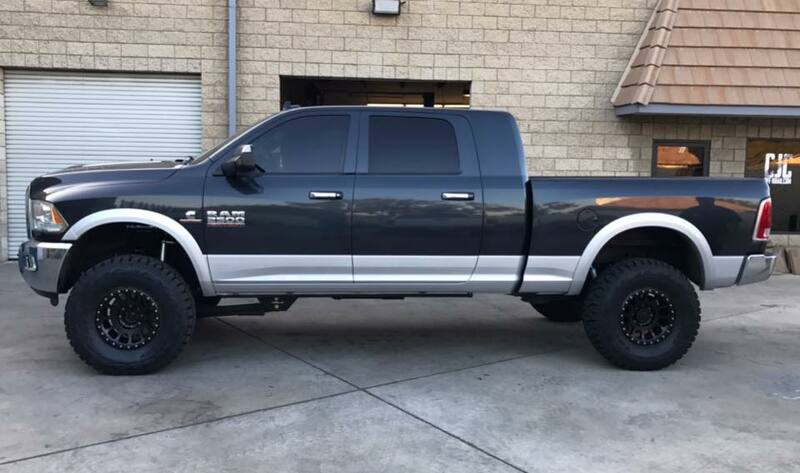 This beautiful Ram 2500 Mega Cab is sporting a Carli Pintop 2.5 suspension system, Carli Ram Fabricated Radius Arms, a Carli 2014+ Ram Torsion Sway Bar, 20" Method NV wheels, & 37" Toyo R/T tires. 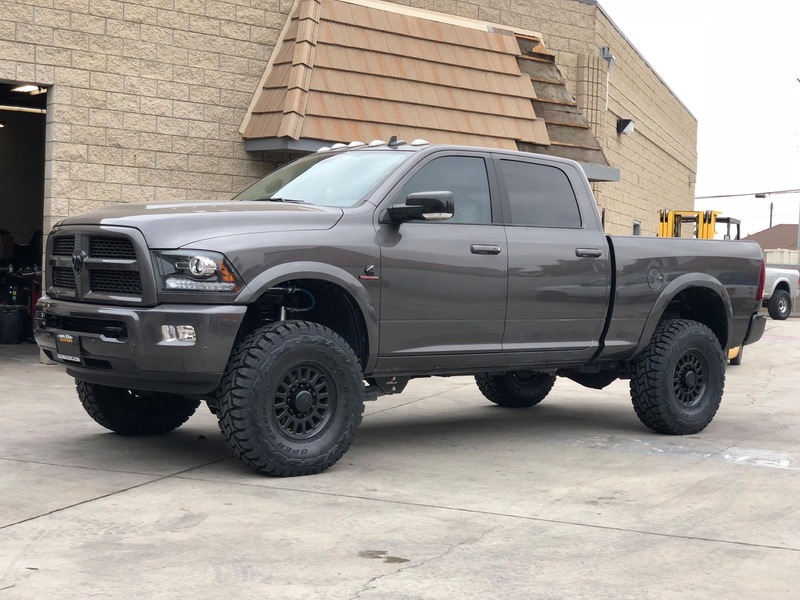 This truck is one of our favorites from all of 2017! 2014+ Mega Cab 2500 with a Carli Pintop 2.5 kit, 17" Method NV's, and 37" Toyo Open Country R/T tires. 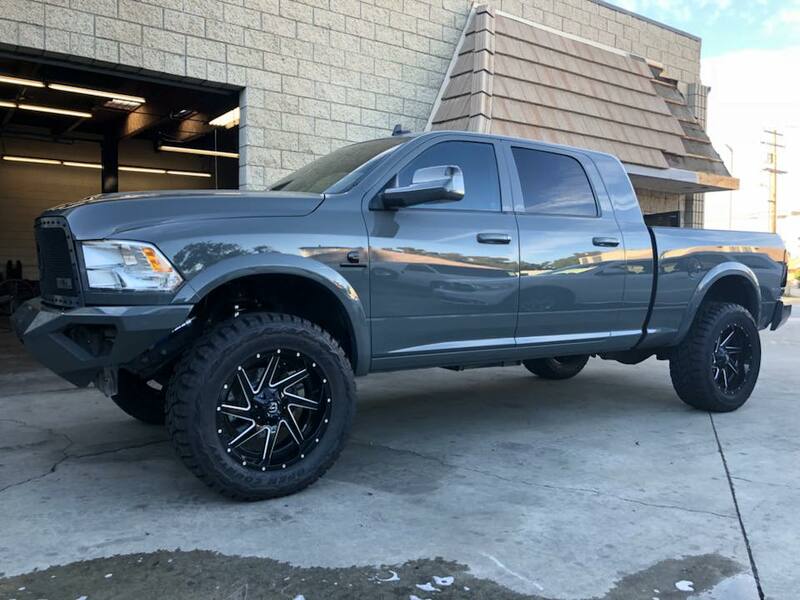 This battleship gray 2013 Mega Cab runs a Carli Pintop 2.5 system, Carli mild steel control arms, 22" Fuel Forged wheels, 37" Toyo Open Country R/T tires, and Fab Fours front/rear bumpers. 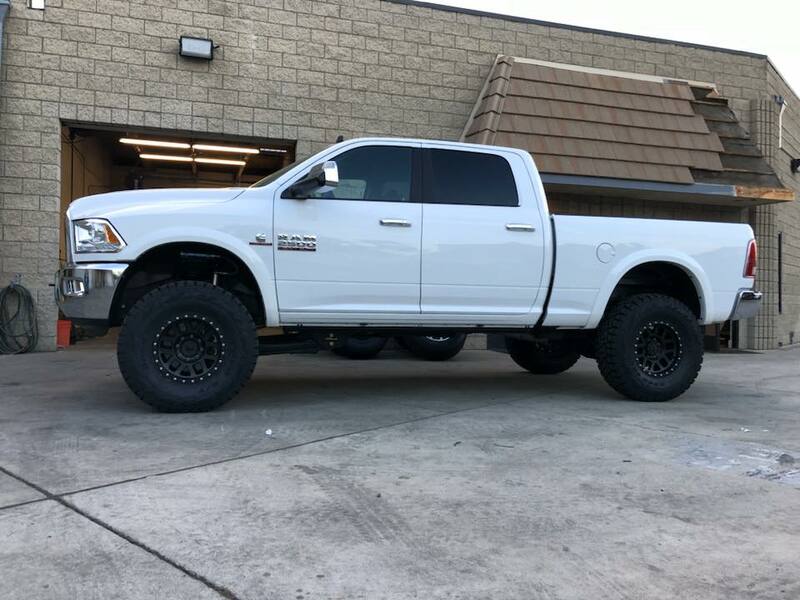 2014+ Ram 2500 featuring a Carli Pintop 2.5 system, 17" Method Mesh wheels, & 37" Toyo Open Country R/T tires. 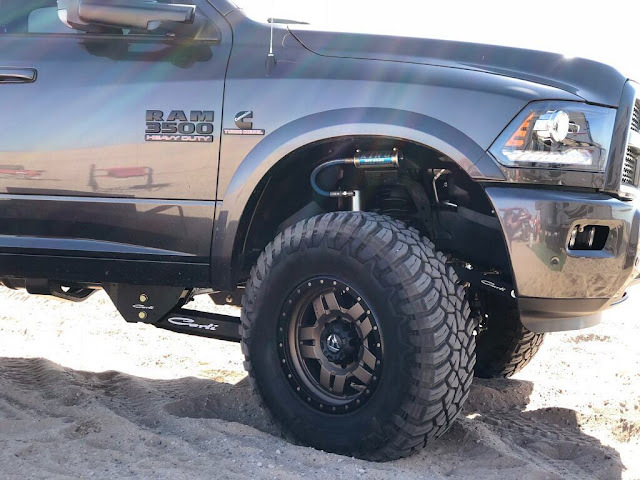 Our friend Tony's 6" Dominator equipped 2011 Mega Cab towing a heavy fifth wheel setup. 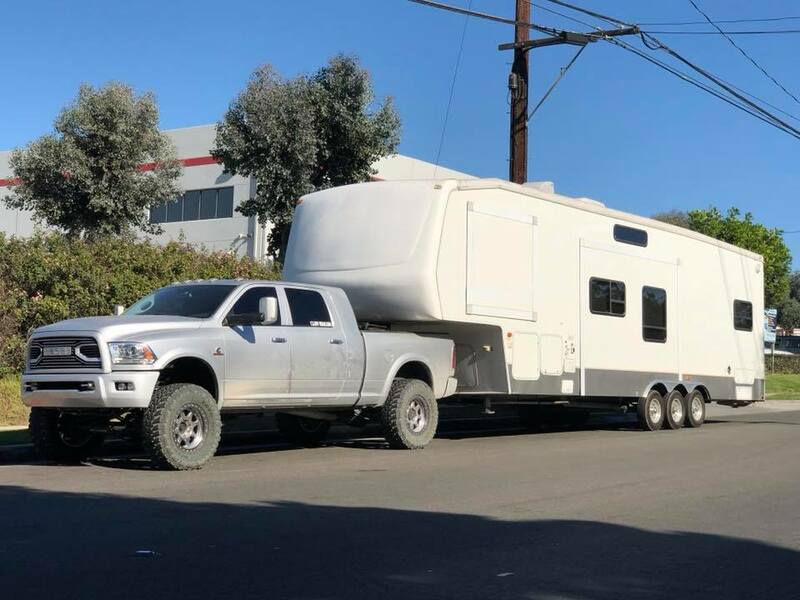 using Carli's long travel air bags, this setup works very well. One week prior to the above picture towing a fifth wheel, this truck was out on the Mojave Trail navigating 160 miles of off road terrain. When equipped properly, these trucks really do offer the best of both worlds! 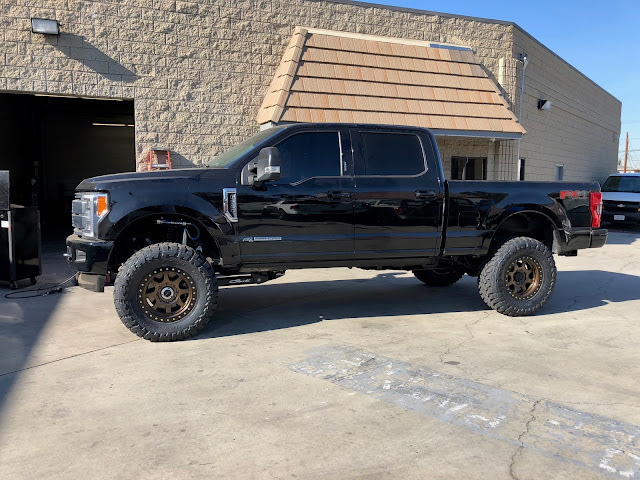 Richard's 2017 F250 is sporting a Carli Suspension Pintop 4.5 system, Carli Ford Fabricated Radius Arms, Trail Ready 20" Simulated Beadlock wheels, & 38" Toyo Open Country MT tires. 2017 Ram 2500 featuring a Carli Pintop 2.5 system, Carli Torsion Sway Bar, AEV 17" Salta Wheels, & 37" Toyo Open Country R/T tires. 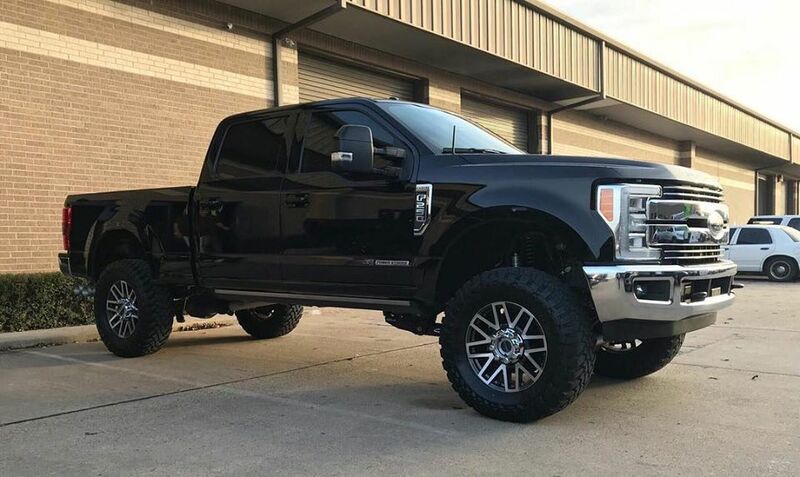 Brent's 2017 Ford Super Duty sporting a Carli Ford 4.5" Commuter 2.0 System, Carli Fabricated Radius Arms, & Toyo 37" MT's on factory 20" wheels. 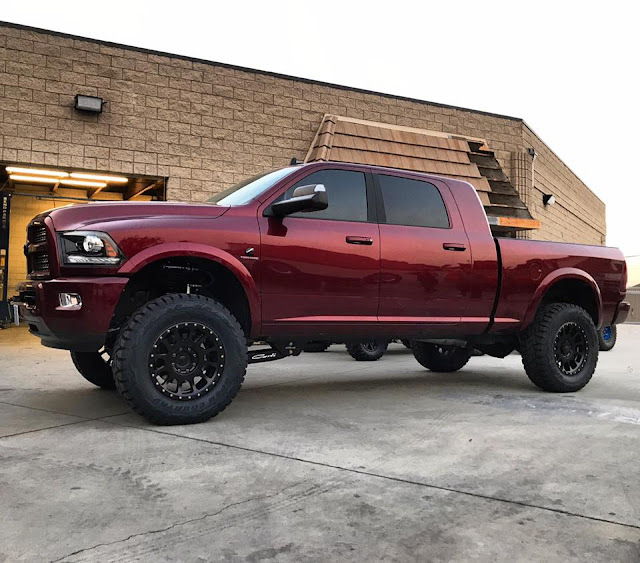 This truck has been featured before but we really like this front end shot of this Carli Pintop 2.5 equipped Ram 3500 featuring Carli Fabricated Radius Arms, Fuel Anza broke wheels, & 37" General Grabber X3 tires. 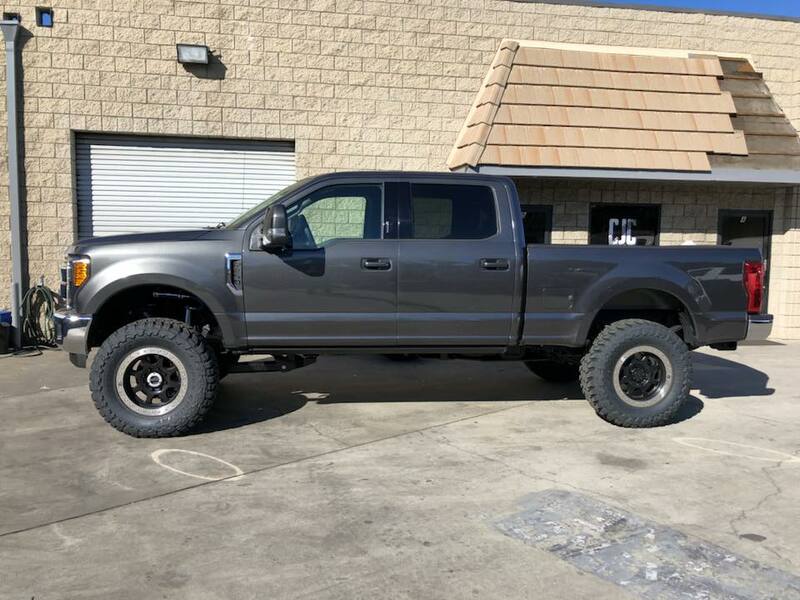 This last featured build was perhaps one of the most involved. Ramiro's 2017 Ford Super Duty is sporting a Carli Dominator 4.5" system, 20" bronze Trail Ready wheels, & 38" Toyo MT tires. We are extremely happy with how this one turned out! 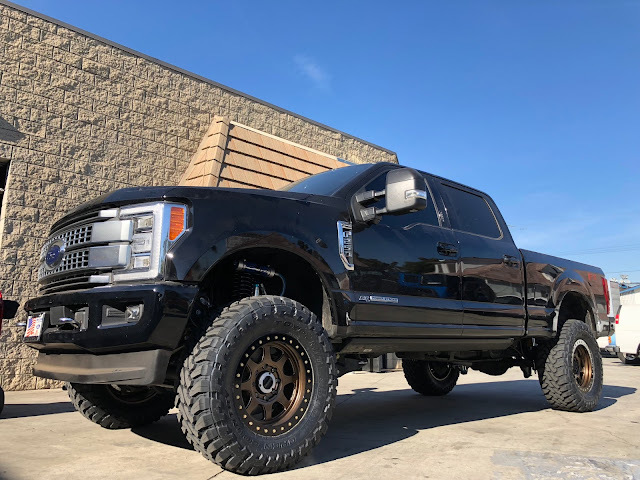 We have a lot of exciting builds coming in the near future that we look forward to sharing!